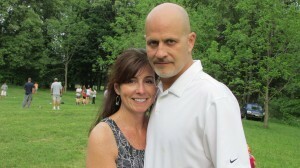 Allen joined our league last year with his girlfriend Barb. Collectively you might know them as Knights of the Round Ball. In his first year with Turbo Bocce Allen made significant contributions to our league off the field by allowing us to hold winter tournaments at the CNY Sports Center and the War Memorial (playing there will always be a feather in the cap for us). This year Allen made his presence known on the bocce field, scoring 131 points in just 24 games – that’s 5.4+ points a game, a scoring rate that would have put him in the top five of the league had he played all his games – unfortunately he missed two weeks. He was busy. What was Allen busy with you might ask? That’s right. I’ve seen him wear armor. I’ve seen him wear a cape more often than you might expect. I’ve seen him fire cannons at people who may or may not have been evil doers. I’ve even hear tell of him repelling from the top of the War Memorial with a grappling hook. Some of this stuff I have photo evidence of! Do these things make Allen a super hero? No, they don’t. They make him an interesting guy who wears a costume more often than most. Its the things Allen does out of his costume that make him a super hero. Like working with refugees. We’ve all seen the image of a refugee child dead on the shore of a country that would not give him shelter. Luckily we don’t live in a place like that, but accepting refugees is only the first step. Some kind soul needs to help them assimilate into their new home. Enter Allen LaVenture. Using the universal language of soccer he helps refugee kids assimilate into Syracuse life by setting up soccer camps that allow poor refuge children to play with entitled suburban children, as equals. Then there’s the Knight’s Code, where Allen takes Silver Knight soccer players to local schools to teach sportsmanship and anti-bullying. With social media keeping us more connected than ever, kids have the opportunity to take bullying further than ever before, and its more important than ever to teach kids not to bully each other. Then there is the Running and Reading program, where Allen works with libraries to teach kids the importance of reading and physical fitness. Keeping both the body and the mind healthy and strong. 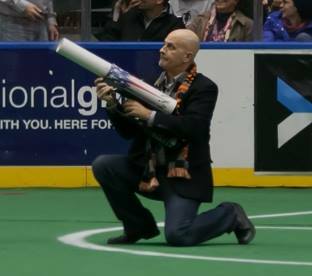 Allen is the driving force behind the Silver Knight Foundation – a volunteer arm of Syracuse’s professional indoor soccer team, the Syracuse Silver Knights. 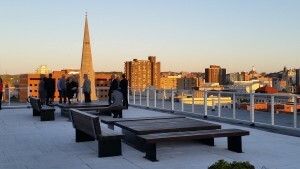 Whether it’s raising money for kids to participate in athletic camps, developing sports-related programs like video, photography, and sports journalism, or holding conferences aimed at elevating inclusion in our community, the Silver Knight Foundation is dedicated to enhancing the lives of our cities youth. 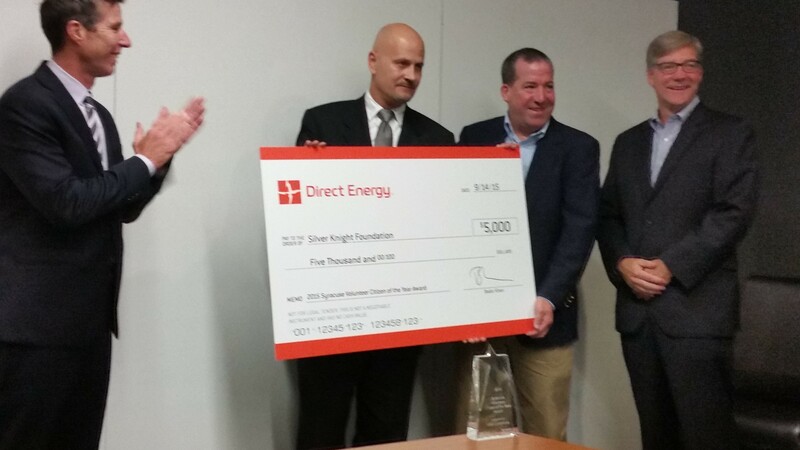 This work, and more, has earned Allen Syracuse’s Volunteer Citizen of the Year award. 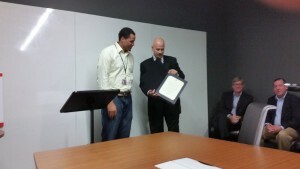 I was lucky enough to be on hand at the Syracuse.com offices to see distinguished citizens like Mayor Stephanie Minor, Assemblyman Al Stirpe, Onondaga County Legislator Kathleen Rapp, and Syracuse Park Commissionar Lazarus Sims honor Allen. He was given a physical award, and $5,000.00 was donated to the Silver Knight Foundation in his name – Gordon Biersch was even on hand with free beer! After the awards and the speeches we went up to the rooftop of the Syracuse.com building to celebrate the award in style. 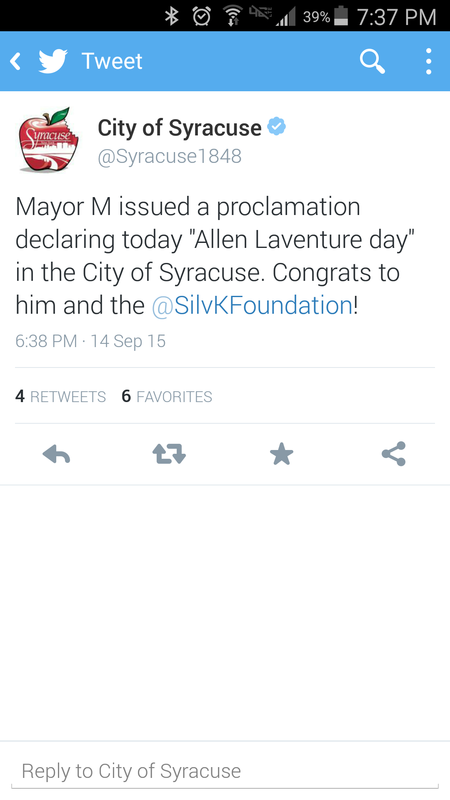 Best of all, Mayor Minor proclaimed that September 14th will forever be known as Allen LaVenture Day in Syracuse! Okay, I know that usually when I do these player spotlights I make things up for laughs, and I also know that this is so outlandish that it sounds made up, but I promise you every word is true. Here is the proof from the cities own twitter account. I am proud of what Allen has accomplished. I am proud to be the vice-president of the foundation that relies so heavily on his work. 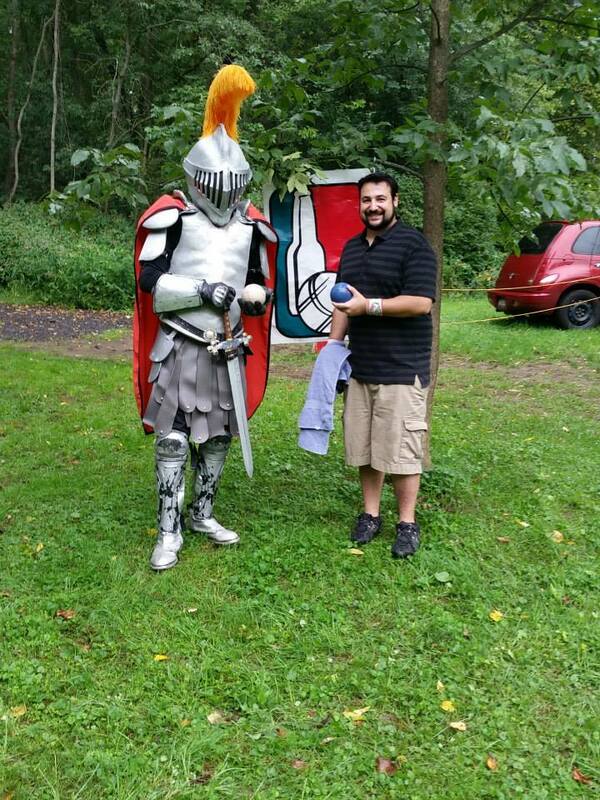 I am proud that he plays Turbo Bocce, and I am proud that Turbo Bocce was able to help the Silver Knight foundation in a small way by holding two bocce tournaments last winter for their benefit. 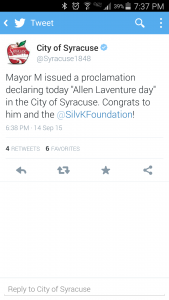 If you see Allen around, make sure you congratulate him. Next September 14th we will all have a beer in his honor. Maybe we will even find a way to hold a bocce tournament for the Silver Knights on that day, and maybe he will play and win. After all, it’s his day.